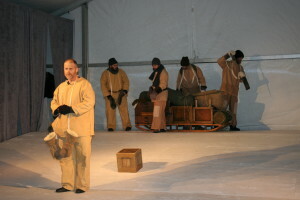 Hero Now Theatre’s second play was Ted Tally’s Terra Nova, the story of the first British team to reach the South Pole (and who then failed to return). 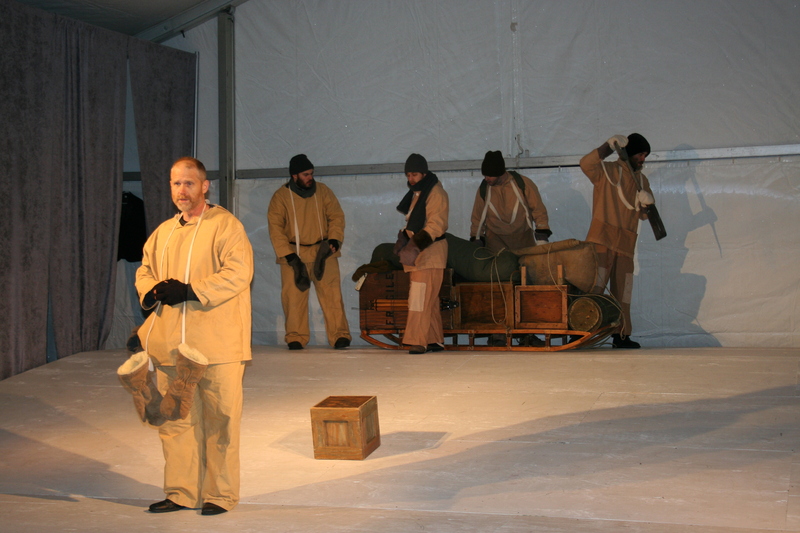 We performed the play in a tent pitched on a bone-cold snowy field in January 2016. We built it, and audiences came! We also built a 12′ X 12′ raked stage for the performance. See photos on Facebook! Hero Now Theatre received a good amount of publicity for a company just out of the gate. Fox 9 interview of two lead actors. Barb Horlbeck, Executive Director of Will Steger’s International Arctic Project, was part of our talkback panel on Saturday night, January 16.